Since mid-2013, Spark Technologies has committed a dedicated team of developers to the rapidly growing field of business mobile application development. 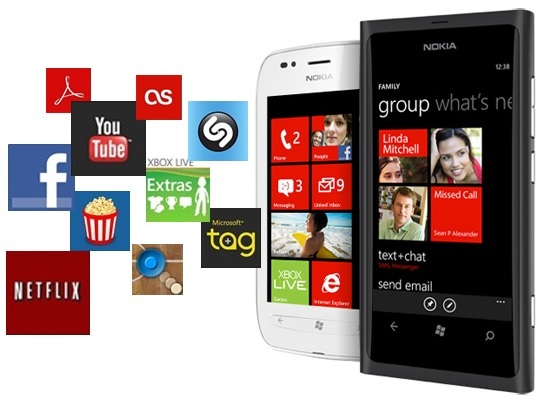 We provide application development services for windows mobile based devices. Our team has the experience of delivering native windows applications, ranging from simple to complex enterprise applications, for global use. Our knowledge of cross-platform frameworks like Jquery Mobile, and PhoneGap gives us a firm stronghold in designing robust and scalable applications that are compatible with multiple platforms. We are heavily client-centric & team oriented in our approach. Our development team works closely with clients, on-shore architects and designers - where required - to deliver solutions in a seamless manner. The biggest challenges of off-shore development – having an understanding of requirements & expectations, clear communication & exchange of ideas - are mitigated by people who understand these challenges and have the experience and skills to provide a truly collaborative work experience. Whether you are looking for team augmentation, product development or fixed price projects for internal or client use, we can deliver the right technical and commercial model for your needs. The positive feedback we have received from our clients is testimonial to our outstanding performance in the mobile domain. If you don't design your own life plan, chances are you'll fall into someone else's plan. And guess what they have planned for you Not much.